Thanks to AT&T hosting their own video advertising their DirecTV service. Add this to the growing list of commercials that I’m forced to see, forget, see again enough times to form an opinion on. AT&T calls this commercial “The Break Up” and I would sure hope the guy downstairs is going to break up with this lady. This lady who is just throwing his possessions out of the window. Which I get in an 80s sense of humor but then she throws his guitar which is expensive. Which I also don’t really care about but then she throws out their cable box and that’s the part that I find objectionable. Not only is that highly irresponsible but extremely dangerous! If he got hit by it, that’s assault. It isn’t even funny in a small way. Wherein I’m not alone in finding the ad a poor use of television time. It also seems counterproductive, I wouldn’t want to purchase or pay for a service that thinks this is a good idea to promote. That’s not even dealing with the race issue, which I hadn’t really noticed while watching the video. That doesn’t show African American women in a positive light. I also don’t get how she already has digital cable after throwing the box away? Did they already have digital cable so the box was no longer needed? People are also commenting on what if it was the man throwing her stuff out the window and how that would have been received. Probably not worst but it would have been different as I’m not sure I’ve ever seen it portrayed that way. It is almost always woman throwing man’s stuff out – usually justified in more than a thirty second ad but throwing an electronic item out the window should never be allowed. Like pouring bacon grease down any drain, it shouldn’t happen under any circumstances. Who is this commercial directed towards? Young women who just suffered a horrible break up? That seems pretty niche. Thanks to Ancestry for hosting their own video. I’ve seen it enough to where I wasn’t paying attention to it, to paying attention to it, to taking it for granted, to forming an opinion to now wanting to learn more about it. My main thought was, how do you grow up German and turn out not to be German? How does that work? Your father tells you, you are German and that’s how you self-identify. But who told him? His father, who was told by his father? So I thought of poor Kyle and his family and how at some point, someone must have tried to dodge their family history and said they were German and your life is the story you tell, so that becomes fact. Kyle has his own blog, which is pretty cool. Of course, he writes about the experience and there are other posts about the commercial and his opinions on it being aired. I like how one of them, he apologizes for being obsessed with it. Hey, I completely get it, you are on television and probably seeing the commercial a bunch if he is using Hulu. Might as well ride that 15 minutes as long as you can! My wife has mention how much she wants to treat me to an Ancestry DNA test for Christmas, ideally, she wants to get everyone’s done, like our nephews and both sides of our family and really get this done. Which we know how silly it would be to get our sisters DNA tested as it should be the same result. What I want to do is get mine, my wife and our son’s DNA tested and see what story develops from that. We can branch out from there. I’ve been really tempted to get an Ancestry account started. Especially when they were airing Who Do You Think You Are? but Ancestry is $44 a month for the full membership or $199 for six months (I wonder why they don’t do a year, besides it being $300 and that doesn’t look great on a website). I wonder how that account works. Does all of the hard work stay on there, but you don’t have access to it after your membership expires but you can renew it and just pick it right up? I imagine that is how it has to be. My father was adopted so I didn’t know anything about my grandfather, besides he named his son after himself – which is always bizarre to me. What is even more bizarre is that my father named me after himself but I put a stop to that nonsense with Walker Dennis. No reason to keep the legacy of a dude who didn’t even keep his own son and yet we are continuing the family name. My father didn’t have an easy life, he still doesn’t, and his adoptive family were not a treat but they took in this boy and gave him some opportunities but besides a seldom reminder of how hard he had it, it isn’t like we talk about his family. Real upstate New York farmer types around the Syracuse area. 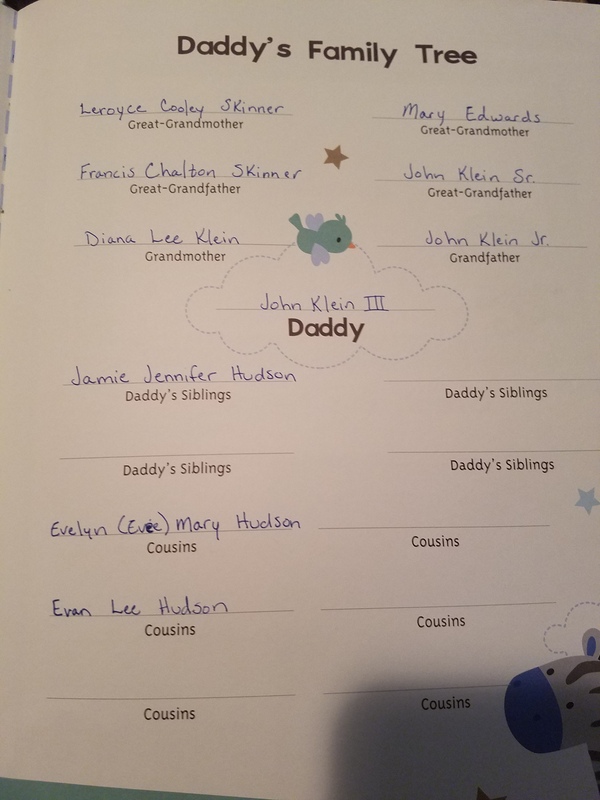 We were filling in Walker Dennis’ family tree for his baby book and I asked my mother for some additional names, as it asked for more than just two generations – which is pretty cool – and she offers up my father’s mother’s name, which I didn’t even think we had that information. 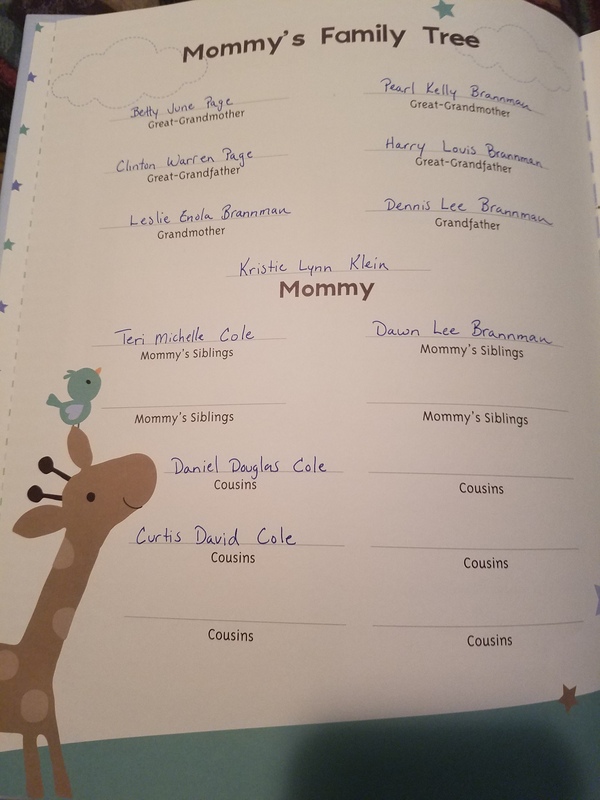 My sister has since had a third child, Erin, that we have to update the baby book with.